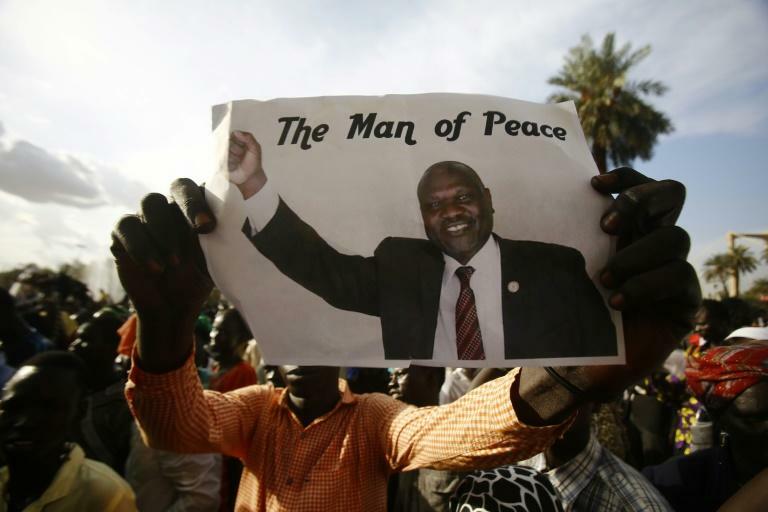 South Sudan rebel chief Riek Machar on Tuesday refused to sign a final peace deal with the government, in a setback for a regional drive to end nearly five years of brutal civil war. 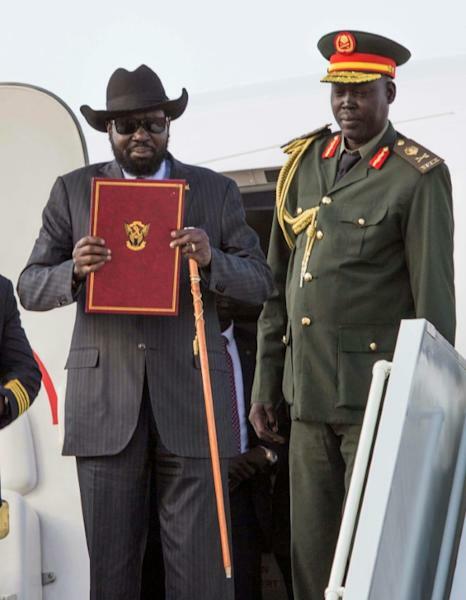 Machar and President Salva Kiir have held weeks of talks in Khartoum in search of a comprehensive peace deal to end the conflict, which has killed tens of thousands and displaced millions since 2013 in the world's youngest country. The warring parties have already inked several agreements, including a permanent ceasefire and a power-sharing deal that sees Machar returning as first vice president in the government. But on Tuesday the rebel leader refused to sign the final peace deal even as Juba inked it. "The main South Sudanese opposition groups, including the SPLM-IO (Machar faction), refused to sign the final document demanding that their reservations be guaranteed in it," Sudanese Foreign Minister Al-Dierdiry Ahmed, who is mediating the talks, told reporters. Officials said the rebel groups had differences over the functioning of a proposed transitional government, how many states the country should be divided into and on the writing of a new constitution. "For the first time, the opposition told us that it will not sign," Ahmed said, showing the draft text to reporters and diplomats who had gathered for what was expected to be a preliminary signing ceremony in Khartoum. The rebel groups' refusal to ink the document is a setback to the latest peace push led by regional East Africa bloc IGAD. "This is the final document which had been arrived at after consultations between all South Sudanese parties," Ahmed said. "South Sudan will not have peace unless these groups sign." The rebels said they were surprised that the mediators had drafted the final deal despite several outstanding issues that had to be resolved. "This is an unfortunate development that will not reflect well on the impartiality of the mediators and will throw doubt into the whole process," the rebels said in a joint statement. "We therefore urge the mediators to allow the parties to resolve these critical matters of contention." The rebel groups said they were still ready for negotiations. The Sudanese minister said the opposition's refusal to sign spelt the end of the current Khartoum round of talks. "This was the last round of negotiation," Ahmed said, adding that the mediators will submit the text to IGAD, although it was unclear when the bloc's leaders would meet to discuss it. That accord was to pave the way for a final peace deal and the formation of a transitional government that will hold power until elections are held. But international backers of the peace process had raised doubts about whether the deal would stick given the depth of animosity between South Sudan's leaders which dates back to the 1990s when Machar first broke ranks at the height of the war for independence from Khartoum. "Considerable challenges lie ahead, and we are concerned that the arrangements agreed to date are not realistic or sustainable," the United States, Britain and Norway said in a joint statement on August 10. "Given their past leadership failures, South Sudanese leaders will need to behave differently and demonstrate commitment to peace and good governance," they said.